They're back!!!!!!!!!!!!!!!! Gallagher bros are back!!!! Who think of the stupid Oasis bros please get out!........ 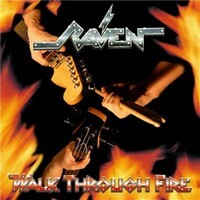 Finally a new CD (unfortunately available only in Japan) by Raven!!!!! People don't worry, because energy and good songs in this new masterpiece by the Gallagher brothers and 'The grandmaster of doom' Joe Hasselvander are present in high quantity! This CD starts with an intro and the first track Against The Grain assault our ears!!!! Next track Breaking You Down continues our headbanging like the good old times, and the same situation for Under Your Radar.... They're really back!!!!!!! The title track of this new CD is slower, but you can't resist at the chorus. Bulldozer is a heavy mid-tempo that give at this CD a moment for breathing.... Long Day's Journey is another mid-tempo one, anthemic in its chorus, where is possible hear the American influence in their music. Until now the most 'commercial' song presented here. Trainwreck take Raven back on track...... Funny and heavy!!!!!! We want Raven always like this song!!!!!!! Grip take us back on earth.... Not exactly a great song, not exactly a bad song...... Running Around In Circles is the same way as Grip. Next track Hard Road is another mid-tempo track that give us back our headbanging!!!!!!! Armageddon is a doom song (Mr Hasselvander, thank you!). Doom in the Raven style and.... I like it!!!!! 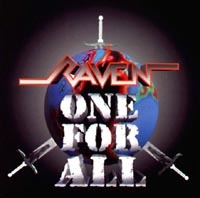 Attitude is a classic Raven fast and funny song (yeah) and Necessary Evil brings us to the end of this CD in a good way..... But there's time for a cover version of the Montrose's Space Station #5 that really ends this nice CD and means the return of these great guys from England!!!!!!!! Enjoy it! When some kids founded a band in Newcastle back in 1974, nobody expected that they will still play together in the 21st century. At that days the Gallagher brothers started to show the rock dinosaurs how to play heavy metal. After line-up changes the band a single in 1980 called Don't Need Your Money and in 1981 their debut album Rock Until You Drop and that seems to be their rule of life. Okay, after more than 10 years Rob 'Wacko' Hunter left the band, but no more changes since drummer Joe Hasselvander joint the Gallagher brothers. This is their 17th release! And with Michael Wagner producing the album the band sound as fresh as in the early days. Live the band proofed their abilities again and again.... With Seven Shades and Double Talk the album starts straight, no compromises! With To Be Broken the ravens slow down a little bit, but got even heavier! 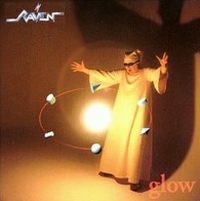 The Raven starts the new millennium with a fresh album and live action! Be part of it! The speed metal oldsters are back with Everything Louder. 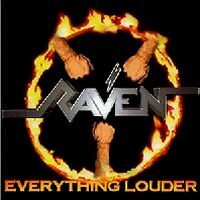 Raven offer the same quality as ever and proof that they don't sound like they are around for more then one decade. Let's hope that they will stay around for some more years... The album was recorded at the Clearsound Studios in Manassas and is produced by the band. Songs like Between The Wheels, Losing My Mind, Blind Eyer and Hungry are typical Raven songs and so a good reason to get a copy of this album! The Raven is back, better then ever!